Consistent Grip and beaded cuff. 100 Pieces in a Dispenser Box. 10 Boxes in a master case. Available in Elongation at Break (%) >650. Latex Examination Gloves (Powder Free). Has Low Pinhole Level (AQL 1.5). Tensile Strength is >21 MPa and Elongation at Break (%) >700. They are packaged as 100 gloves per box and 10 boxes per master case. Latex surgical gloves are made from natural rubber latex which provides excellent tactile sensitivity and comfort. The gloves can stretch well to allow easy donning as Latex material is known to have very high elasticity. 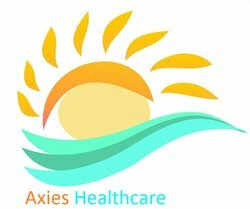 Axies Healthcare is one of the best latex surgical and examination gloves manufacturers, suppliers and exporters in India. Our powdered and powder Free Latex Surgical gloves are compliant with the stringent industry standards. Thus it is preferred by different parts of the globe. Reduce problems with skin irritation in the O.R. Manufactured and packed under clean and hygienic environment. Clinically proven to improve skin integrity. Made of low protein (50 μg/dm2 or less). Natural latex rubber; Anatomically Shaped with 280mm Length. Lightly textured; synthetic polymer coating. Powder free, sterile packed in pairs. They are packaged as 25/50 pairs in a box and 20/10 boxes per master case. Nitrile Gloves are popular for their high degree of flexibility, low resistance to friction and superior solvent resistance. Our Nitrile Gloves are the best alternative to Latex or Vinyl Gloves. They are very easy to slide on. They are 230 – 240mm long and have a very low pinhole level. Nitrile Powder free gloves are ideal for people with allergic reaction to powdered products. These gloves can be used in Biotechnology, Laboratory, Medical, Food and Pharmaceutical Industries and also very popular in electronic industries. Compatible with any kind of hazardous environment. Made of 100% Synthetic Nitrile material. No natural Latex Proteins are resistant to a broad range of chemicals. Tensile Strength is >14 MPa and Elongation at Break (%) >500. Packaged as 100 gloves per box and 10 boxes per case. Available in Variable Sizes: Small, Medium & Large. Vinyl Glove is an excellent alternative to Latex or Nitrile Glove. Vinyl Gloves are also economical as they are made of Poly Vinyl Chloride. Axies Vinyl gloves are available as powder free and powdered. It is primarily used in Biotechnology, Pharmaceutical industry and also popular in Food Industry. They are packaged as 100 gloves per box and 10 boxes per master case. Has a smooth finish and are ambidextrous . Offers flexibility, sensitivity and strength. Light powder provides easy on and removal of gloves. They are packaged as 100 gloves per box and 10 boxes per case. Tie-Band and Ear Lop Mask. 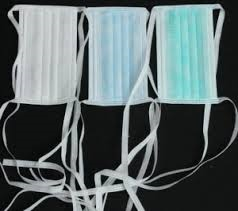 Tie-on Masks are primarily intended to protect against airborne infective agents with its high filtration power. These masks are also intended to protect the staff against potentially contaminated fluid splashes. Axies tie-on-masks are made to allow easy breathing. It caters to the more economical requirements of the domestic market to the advanced high performance surgical masks, meeting European (EN) and US (ASTM) standards. Our economical, standard tie-on masks have a unique bi-directional pleat design with horizontal ties. They are very popular and preferred for their comfort. All masks are 175 x 95 mm and manufactured on automated ultrasonic machinery. 3-Ply adheres to European Class EN 14683 Type II, CE marked. 3-Ply adheres to European Class EN 14683 Type II R, CE marked. Bouffant cap with an elastic band around the rim is used to keep stray hair in and contaminants out. The protective cap is the perfect solution for busy healthcare providers, physical therapists, trainers, and aestheticians needing easy-to-use garments for their patients and clients. Axies Polypropylene non-woven disposable Bouffant Caps are a great economical alternative to cloth garments. These are highly breathable and have very less or negligible lint. The Bouffant caps are available in 18”, 21”, or 24” size and are comfortable and secure for any hair style. Backed by a team of experts and sophisticated manufacturing unit we are capable of manufacturing and supplying a range of shoe covers. 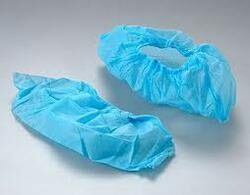 Fabricated with durable & strong non woven fabric these covers provides reliable and hygienic protection from the dirt and impurities present in OT room which stick to the footwear. These shoes are various application areas from medical to IT sectors also to protect the server room from dust. Manufactured in 25 Gsm PP Spunbond, we offer strong and effective shoe covers at an economical rates. Stronger, higher Gsm shoe covers can be manufactured for specific bulk enquiries. With Axies evacuated tube system, the blood is collected directly into the tube during the venipuncture procedure and is a closed system. With the traditional syringe method, the blood from the syringe must be transferred into test tubes after collection and is open system. Axies Blood Collection Tubes are available exclusively in PET plastic. All tubes are available with a safety cap. The use of a vacuum system eliminates the possibility of back flow occurring during blood collection. This convenient system eliminates the need for syringes in many cases and reduces risky blood exposures to phlebotomist and need to transfer blood to test tubes by Lab technicians and consists of disposable needles and tubes. Evacuated tubes are made of glass or plastic and come in various sizes ranging from 2 to 10 ml. Evacuated tubes may or may not contain additives. Blood collected in tubes without additives will clot and yield serum on centrifugation. Tubes that contain additives may or may not clot, depending upon the type of additive they contain and makes testing more rapid and accurate compared to open blood collection and testing. Serum Blood Collection tube aims at providing high-quality serum specimen for medical laboratories. It includes 2 kinds of tubes Pre-Coagulation Tube with red cap and Gel & Activator Tube with yellow cap. 1. 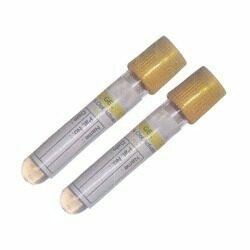 Pre-Coagulation Tube is used in blood collection and storage for biochemistry and immunology tests. It's suitable for a wide range of operation, fast in coagulation, and free from both secondary separation of fibrin protein and the damage of blood corpuscle. The blood cells don't stick to side of tube walls and result in haemolysis. Gel & Activator Tubeis used for clinical biochemistry and immunology. Inside the tube there is a barrier present at the bottom. After centrifugation, the gel creates a barrier that can effectively separate the serum from fibrin and cells, while preventing substance exchange between blood cell and serum. As a result, it can keep biochemical characteristic and chemical components of serum stable over a long period. Whole Blood Collection tube provides high-quality blood specimen for medical laboratories. It includes 2 kinds of tubes: EDTA tube with Lavender Cap and ESR tube with black cap. 1. 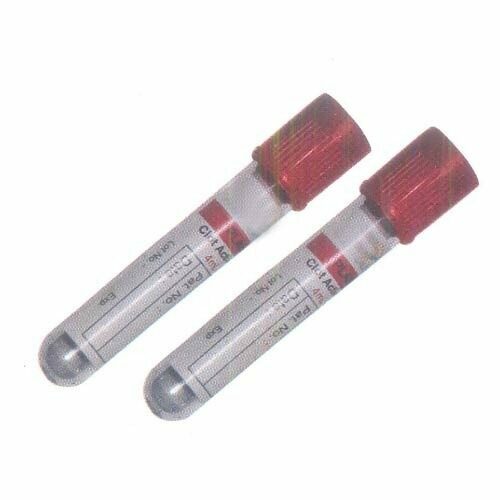 EDTA Tube is widely used in clinical haematology as well as various kinds of blood cell test instruments. It has EDTA K3/K2 as anticoagulant. 2. ESR Tube is used in blood collection and anticoagulation for sedimentation rate test. It contains a 3.8% buffered tn-sodium citrate solution (0.129 mol/l) with the mixing ratio of 1 part citrate solution to 4 parts blood. ESR measurement is done as per the Westergren method. Applicable blood samples tests are: Blood sugar, Sugar tolerance, Red blood cell electrophoresis, Alkali-Resistant Hb Determination, and sugar dissolution. Anticoagulant used is lithium lodo Acetate. These are designed according to the 1:9 proportions of anti-coagulants and blood samples. Because of the low toxicity of the buffer sodium citrate, blood storage can be for extended period. It is used in blood collection and anti-coagulation not only for routine clinical biochemistry tests and emergency biochemistry tests but also for some test items in blood rheology. It is coated with lithium heparin (or sodium heparin on request).